THEY are global fashion icons whose clothing choices can launch a thousand zips, and cause usually sensible women to become manic clickerati, frenziedly shopping for "the look". Whenever the Duchesses of Cambridge and the Duchess of Sussex - Kate Middleton and Meghan Markle - make an appearance, within minutes the clothes they're wearing sell out online, fashion waiting lists overflow and the lucky few who have managed to nab them before they disappear are smug or thrilled. But generally both. At the same time the lucky designers who are that day's Chosen Ones run around whooping - an endorsement from one of the world's most famous clothes horses is a priceless jewel in the world of fashion and the key to the kind of exposure money can't buy. 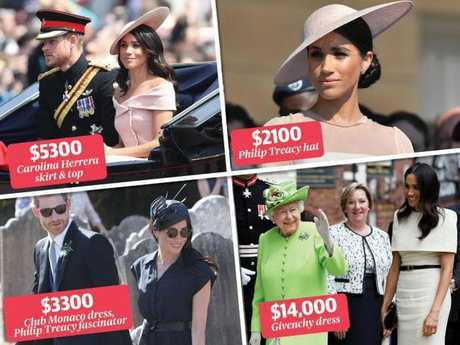 What one of Meghan Markle’s outfits cost. But while the double duchesses are undoubtedly style mavens, their approaches to fashion and what they wear is very different. If Markle's style sparkle is part of what made Harry wild about Meghan, Kate's aristo-in-the-country look of a pair of $850 Penelope Chilvers boots and a Barbour was part of the attraction for Prince William. Meghan and Kate both spent close to $450,000 on their wedding gowns - Kate's by Sarah Burton for British label Alexander McQueen and Meghan's by Clare Waight Keller, the British fashion director for legendary French label, Givenchy. But that's just about where the similarities end. While Kate is known for being frugal, for recycling her clothes and wearing mainstream brands such as Zara, Reiss and L.K. Bennett even after her wedding to the future king, Meghan has ramped up her megawatt fashion style. In the UK she was subject to, if not quite criticism, a sharp raising of eyebrows after she wore $54,442 worth of outfits in two days across four looks on a visit to Ireland last month. That figure is well above the average annual wage in the UK. She is said to have racked up a $1 million wardrobe since her engagement last November to ensure she is leader of the fashion pack. Just as Kate's hemlines have come down as she has matured, Meghan's have, too, though in a shorter period. Since Prince Harry put a ring on it, before the most anticipated wedding for years, Meghan The Demure has emerged after a long history of too tight, too bright and too short. The new duchess has undoubtedly been "royalled" in her fashion choices since the magical Windsor wedding in May. Aside from the longer skirts - the thigh high shorts suits have gone forever - her hair is more coiffured and her image sleeker and more polished. But the California girl - a declared feminist and activist - is emerging as a subtle royal rebel, bucking the diktats of palace etiquette without trying to bring down the House. But it comes at a price. 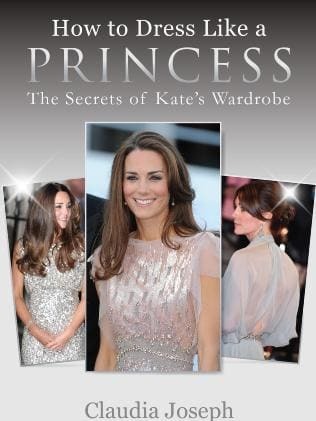 British royal commentator Claudia Joseph, author of How to Dress Like Princess: The Secrets of Kate's Wardrobe, says the two women have vastly different approaches to their clothes. "Meghan is obviously keener on clothing and much more fashion forward. She has spent an inordinate amount on fashion since she got engaged to Harry. She wants to look her best and if there is a choice of looking her best and following Royal etiquette, she will choose to look her best. "Kate is, naturally, more conscious of the subtleties of her role than Meghan and understands the Royal way of life." Joseph says. "She is a middle-class girl, who has grown up in Britain, been to a top private school and mixed with the upper echelons of society. And, of course, she will one day be Queen. Meghan, the Duchess of Sussex, has a flair for fashion. "Meghan is a former actress, who loved the limelight, and enjoys being a Princess. I don't think she has that natural empathy that Kate has yet with the British public yet and is perhaps unaware of what she has signed up for. "Kate is happiest in the countryside dressing down in jeans and wellies. When she appeared on the cover of Vogue, she chose to look comfortable. Her wardrobe is a function of her job." (BW notes, though, that the Burberry suede jacket she wore was worth almost $8000!)" "Kate has been accused of being frumpy - she is not a style icon in the same way as Meghan - but hasn't really put a foot wrong in terms of her clothes. Yes, she is traditional and does not flash her legs in public. I suspect she is not as obsessed with fashion as her sister-in-law. She is not interested in being a clothes horse, like Meghan. "Meghan is flashing her shoulders, which has garnered an equal amount of criticism and praise. She is also wearing a lot of American and Canadian designers - as well as high-end European ones - rather than promoting British talent. But she has only been in the UK for eight months, so perhaps, she has not got into the swing of things over here." The contrast between the two duchesses is thrown into sharp relief in their choice of outfits for their official engagement portraits: Meghan wore a $75,000 Ralph and Russo dress while Kate wore a $310 Reiss dress for hers. "Like the Queen, Kate is very thrifty and recycles her clothing," Joseph says. "She is equally conscious of mixing High Street and designer fashion in order not to appear extravagant, especially as we have been through a recession in Britain. Obviously, on occasions, she has to fly the flag for Britain and look glamorous on state occasions. If she is on tour, she wears a mixture of British designers and fashions from the country she is visiting." The duchess-as-diplomat donned Montreal-born designer Erdem Moralioglu on her first day in Canada, American Diane von Furstenberg's Maja dress in the US and Singapore-born Prabal Gurung while touring the island nation. Joseph acknowledges, however, that Meghan's championing of haute couture fashion houses and Canadian and American designers more often that homegrown UK ones, is beginning to be remarked upon. She wore an ivory-button front Givenchy shirt dress for royal Ascot, which - with accessories - was estimated to cost anywhere from $11,000 to $22,000. "She is wearing a lot of American and Canadian designers - as well as high-end European ones - rather than promoting British talent. Meghan is doing what Kate did for British labels, but for Canadian and New York labels. "I think she has not fully settled on these shores yet and people would like to see more of the designers being British, but they are not yet. 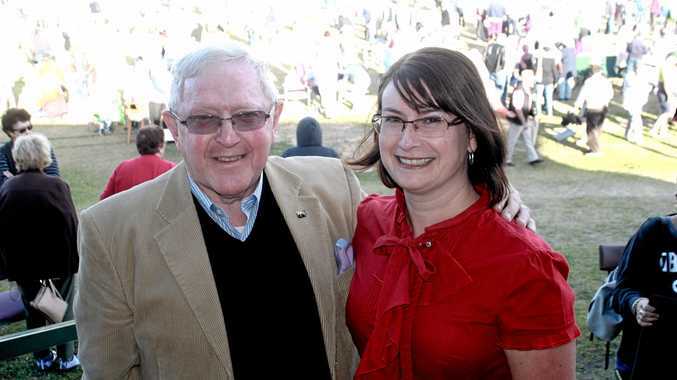 "Kate joined The Firm and wanted to play the game. Meghan appears to be trying to drag the royal family into the 21st century. You saw it with her wedding - she is breaking a lot of rules intentionally." Vogue Australia associate digital editor and confirmed royal watcher Danielle Gay says that Meghan's style has definitely changed since the wedding. "It is a more royal-approved wardrobe that is polished and demure but feels younger than the Duchess of Cambridge. She's certainly not wearing coat dresses (like Kate)," Gay says. "Straight after the wedding she quite notably only wore beige and neutrals. At her first appearance after the wedding she wore a Goat dress and Philip Treacy hat - head-to-toe pale blush pink - at The Prince of Wales' 70th birthday celebration. She donned pantyhose for the first time, which was definitely a big nod towards a royal wardrobe. "For her first appearance on the balcony of Buckingham Palace after Trooping The Colour in June, she wore a pale pink Carolina Herrera dress. She was criticised for showing off her shoulders and breaking royal protocol - women of the royal family are not to wear off-the-shoulder or other revealing styles during the daytime. But we loved it. It felt modern. "Her next appearance, in beige Givenchy, completely covered the shoulders, like a cape, on her first solo trip with The Queen, and so it felt very safe after she had been criticised at Trooping the Colour." Gay says Meghan's elegant, bateau necklines, as worn on her wedding day, demonstrate her desire to create change. "She wore them not only at Trooping The Colour, but also the navy blue Dior at an event marking the RAF centenary celebrations as well as the muted green Ralph Lauren outfit at Prince Louis's christening," she says. "She then stepped out in beige Prada and white Givenchy before shocking everyone by wearing bright yellow, sleeveless Brandon Maxwell at the Your Commonwealth Youth Challenge reception. This was again sleeveless. "She is now putting together looks that are definitely royal-approved, but bringing her personal style." Vogue Australia editor-in-chief Edwina McCann is full of praise for the choices Meghan has made. "Meghan is a global fashion citizen. She is a very globally aware woman as, I think, the prince she is married to is, too. She has a real understanding of designers and a very modern understanding of the industry," says McCann. "Meghan has come into a very different world in terms of social media and influencers, and she can influence not just in the UK but also in America. There is a fascination that an American has married a British prince and there is an opportunity for her to project what the British monarchy stands for. "The young British royals are really at the forefront of standing for something that is new, and modern and brilliant. They are projecting a very different, progressive and inclusive view of being British and part of the royal family." And BW's fashion editor, Elle Halliwell, believes Meghan's rebel prince would be delighted with his girl's refusal to give up her stance as royal provocateur. The new book How to Dress Like a Princess. "Harry's always been fairly non-conformist compared with his brother and I think his choice of life partner also reflects this. I think he was looking for someone who has a bit of a rebellious streak," she says. "While Kate spent years rubbing shoulders with the British aristocracy before tying the knot with William, Meghan has been thrust into this world after spending much of her twenties socialising with LA's rich and famous. "I think the fact that Meghan was so removed from his world was what appealed to Harry, and I wouldn't be surprised if he is encouraging her, behind the scenes, to be a little sartorially rebellious and do things her way. "I think we'll see Meghan push the boundaries of royal fashion convention further as she becomes more comfortable with her new title." When Australia welcomes the Duke and Duchess of Sussex in October for the Invictus Games, all eyes will be on the outfits chosen by Her Royal Highness. McCann says Meghan has already worn Australian designers, including Camilla & Marc and Oroton, and clearly "has an interest in understanding the Australian design scene". "I hear the Duchess has been excited about coming to Australia for some time so I am confident she will make informed decisions about what she wears."